The Southeast Journalism Conference (SEJC) was recently held at Austin Peay State University in Clarksville, Tennessee. On Feb. 18-20, members of The Signal took home various individual and company awards for there many accomplishments. 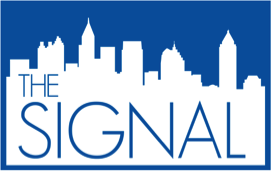 The Signal received 2nd place in the Best College Newspaper category and 4th place in the Best College Magazine category. For Tammy Huynh, this was her first official award won individually with The Signal in page layout. After being in Journalism for only a year, News Editor Sean Keenan took home 1st place in the news writing competition. For more information on the awards or to get a full list of winners, contact Michael S. Gaither at signalmarketing1@gmail.com or 404-413-1625.